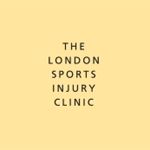 Dr Ralph Rogers MD PhD MBA, Medical Director of The London Sports Injury Clinic at 108 Harley Street discusses the treatment of rectus femoris injuries and how they can be prevented. The rectus femoris muscle is one of four quadriceps muscles and is composed of fibers appropriate or rapid forceful activity. Its characteristics may explain why this muscle is particularly vulnerable to eccentric stress forces and injured in forceful movements such as when starting to sprint or kicking a ball. When the rectus femoris is strained or tears the player immediately feels pain at the top of the thigh, and in extreme cases there is a noticeable defect when the muscle is completely torn. Fortunately complete tears are rare. An MRI scan is normally requested to determine the extent of the injury. Immediately apply the of RICE principle (Rest, Ice, Compression and Elevation) to the thigh. I often use a “Myotrain” Brace from Bauerfeind, which provides cryotherapy and compression. The aim of this treatment is to reduce bleeding and damage within the muscle, which is an important part of the healing process. In addition, it helps to make the player more comfortable immediately after the injury. Depending on how much pain the player is experiencing simple pain killers like Paracetamol may be used, although try to avoid Non Steroidal Anti inflammatory Drugs (Volterol and Ibuprofen). Once the swelling has reduced, and movement has been restored enough that the player can move around with a normal gait and range of motion, the player has recovered from the acute phase of the injury. Now is a good time to exercise the quadriceps muscles, however, without inflicting additional damage or stress. This is usually on an exercise bike or swimming, exercises where the body is supported and the weight kept off the limb. From here gentle resistance exercises and thigh stretching is important as this helps to align the scar tissue that forms during the healing process. By aligning the scar tissue along the normal lines of stress the tensile strength of the thigh muscle is enhanced. Finally core strength and stability exercises can improve muscle function across the trunk and pelvis, which can help reduce the risk of re-injury. Recovery must be closely monitored, so that improvements can be noted and the program altered to aid the recovery process. It is difficult to estimate the length of time to full recovery. Some athletes will be performing normally within 1 to 4 weeks, but occasionally it can take 6 to 8 weeks or more, this depends on the extent of the injury, the health of the athlete and any underlying medical conditions. Warming up prior to training, and matches, is thought to decrease muscle stretch injuries in players because the muscles are more extensible when the tissue temperature has been increased by a few degrees above normal. A good warm up should last at least twenty minutes, starting at a gentle pace before increasing to full activity. Some players use compression shorts which can help maintain the temperature of the muscle tissue. Leg supports can also help to retain muscle temperature and some are specifically designed to support the quadriceps muscles. Similarly to the practice of warming up, players must also be encouraged to have a cool down period; this can help with the transportation of waste materials from muscles and helps with preventing injury or re-injury. The Rectus Femoris injury should not be rushed as players who return too early often suffer re-injury to the muscle. Finally, a quick accurate diagnosis and appropriate treatment is the key to full recovery. Dr Ralph Rogers discusses hamstring strains and how to treat them. .
Dr Ralph Rogers discusses the treatment and prevention of rectus femoris injuries.